(Bridgewater, N.J., Feb. 15, 2017) – The Somerset Patriots have announced that 2014 Atlantic League Post-Season All-Star and 2015 league champion Matt Zielinski has been signed for the 2017 season. 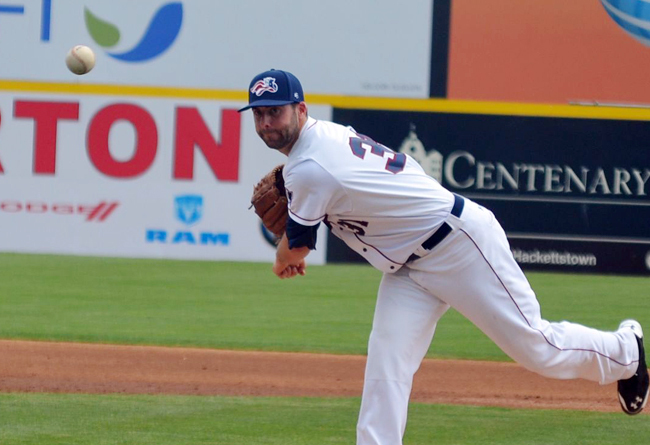 Zielinski enters his third season with the Somerset Patriots and third in the Atlantic League. He previously played for the Patriots in both 2014 and 2015. In 2014, Zielinski was named the left-handed starting pitcher on the league's Post-Season All-Star team after he posted a 10-8 record with a 3.27 ERA (sixth-best in the league). He also started in the Atlantic League All-Star Game that season. The Southampton, Pennsylvania native followed up his strong 2014 season with an equally impressive 2015 campaign. Zielinski went 8-4 and finished second in the Atlantic League with a 2.86 ERA. Only teammate Sean Bierman, who finished with an Atlantic League-record 1.79 ERA, had a lower mark. Additionally, the southpaw enjoyed a 17-start stretch from June 5th to September 3rd in which he suffered just one loss that season. Zielinski later earned a win in Game Three of the Atlantic League Championship Series with 6.1 innings of three-run baseball en route to winning the championship, the team’s league-record sixth title. Overall, Zielinski is 18-12 with a 3.06 ERA over 53 games (47 starts) in his two seasons with the Patriots. Last year, Zielinski made 11 starts with Bologna in the Italian Baseball League. “Z” went 9-0 over his 11 starts with a 0.42 ERA (three earned runs over 64.1 innings): both of which led the league. Zielinski spent three seasons with the Evansville Otters of the Frontier League prior to joining Somerset in 2014, including a 9-7 season in 2013 in which he led the league with 114 strikeouts. The West Chester University of Pennsylvania alumnus owns a 35-28 record with a 3.03 ERA and 483 strikeouts over his six-year professional career.